I don’t run to stay healthy, I run to stay thin, and lately to blow off steam. I was engaged to be married, and the relationship with my fiancée was getting frosty, with a lot of yelling and blame being tossed around. The volunteers at the shelter were shrewd. It was overcrowded, with a high kill ratio, the highest in its history, I was told. As patrons walked into the caged areas, the dog on their immediate left was next on the chopping block, if no one adopted it. The dog after that was next, and so on. “He’s half husky, half Australian shepherd,” a girl said as the dog in the second cage looked at me with one blue eye and one brown eye while wagging his tail. Tired from my run and the Texas heat, I got a cup of water and sat under a tree with the dog. He was friendly but didn’t listen to a thing I said. “Sit!” I said and he licked my face. “Come!” I said and he walked away. After a few minutes he curled up next me and put his nose against my knee. I thought maybe he would be a good running partner. At least he wasn’t dangerous. I placed a “hold” on Dusty while I thought about how much damage he could cause my life. I would need a pet deposit for my apartment, chew toys, food dishes and shots for him. I teach twice a week in San Antonio, so I would need a dog walker for those days, someone I could trust with a key to my place. The dog was nice, but having a dog would be like having a child. Again, I thought maybe he would be a good running partner. The next day came, and I had an important deadline for a grant and better things to do, like buy food. The dog would find a home. I went to the grocery store, only a mile from the shelter, and promised myself I would drop by his cage only to say goodbye. When I peeked in he was curled in a ball on a rubber cot, sleeping and shaking as he dreamed, but he woke quickly and with one blue eye and one brown eye he looked at me. He didn’t turn out to be much of a runner. He stopped to eat every dead bird and piece of trash he could find around my complex. His favorite was pizza crusts. One day he got sick, vomited a sweet-smelling brown substance on my rug, and then passed a Snickers bar wrapper that night. People in my neighborhood would ask if he was a wolf, usually men walking pit bulls. Too many people asked if he fights. He seemed fearless, so I started calling him Danger. Days later I met my friend Jon at an “All U Can Eat” Indian buffet. Jon had had a trying week. He had bought a house, his wife was pregnant, and their dog was gravely ill after eating a tennis ball that was now stuck in his stomach. An operation to save him would cost thousands. Our lunch date was the first time I had left my new dog alone, and my imagination began to run wild. I decided to start a bank account for doggy emergencies, medications, surgeries or any unforeseen tragedy. I called it his college fund. When I came home, a thin letter was in the mail. A grant I had been awarded, a grant I needed to pay the bills, had been taken away for a lack of funding. I wanted to drink and punch the walls, but the dog didn’t care. The dog wanted to go outside, smell things, poop and play with me. He licked my face as I cried. I gave him some peanut butter and snuggled with him in front of our television that night. I couldn’t drink in front of him. And I couldn’t drink in any case because he needed me to get up early so he could walk and eat pizza crusts. The dog kept me grounded. That winter my fiancée and I were fighting, we were always fighting, but she invited me to her family home near Houston, an area affiliated with NASA, hoping our relationship would get better. Her mother asked that we keep the dog confined to a room with an uncomfortable white tile floor. Because of this we used every excuse we could to take the dog to the only dog park within 30 miles. My fiancée and I never fought around the dog or at the dog park. I understood exactly what he meant. I imagined he was a former Russian spy, or ex-Soviet scientist who defected here during the Kennedy administration to make miracles and build rockets to the moon. “Danger, come and thank him,” I said. He ignored me while wrestling with Sasha. Two days later we got back to Austin and I bought a bed. Since I was 13, I had always slept on a futon mattress I threw on the ground. I went to Ikea and found something low to the ground so my dog could get in easily, even when he is old like Sasha. This was compensation for that tile floor he had to sleep on. A year later my fiancée told me she was pregnant with another guy’s kid. She had done nothing wrong. We had stopped fighting, almost stopped speaking. We had been on a break. That was what I kept telling myself. But when I found out, I wanted to drink and punch the walls. The dog didn’t care. He wanted to go outside and play, and we did, and if we hadn’t I would have drank myself into the ground. Danger licked my face as I cried, and we snuggled while watching television. Two days later there was a banging on our door at two o’clock in the morning, a man screaming for Carlos. I told him he had the wrong place and if he didn’t leave I was calling the cops. The man ran away and Danger was nowhere to be found. I finally found him behind my old sofa, trembling. “And people ask if you are a wolf,” I said. So much for fearless. So much for Danger. THE next morning I called Jon and asked him who his real estate broker was. It was time for a real home in a better neighborhood, at least for my dog. I had never liked the idea of buying a home. It seemed like tying a bag of wet concrete to my ankle. Quickly I learned banks didn’t like the idea of me buying a home, either, but I had enough ammunition to buy a condo. All I wanted was a small, quiet place with windows low to the ground so Danger could see out while I was away teaching. Our broker found exactly what I had asked for, complete with a dog park on the premises. My friend Michael repainted the place for us, and I even bought an Ikea sofa that was low to the ground so we could watch TV together in comfort and ease. I didn’t even have to dip into the dog’s college fund. I have a heart murmur now and can’t run the way I used to. I’m getting a little fat. I get pizza every Friday night when my dog and I watch TV together. I call it “movie night,” and the dog eats my crusts. He never makes it through a whole movie. He falls asleep with his nose against my knee, shaking as he dreams, and when it’s time to move from the sofa to the bed I have to call to him: “Dusty, come.” And he does. He only comes, I finally realized, when I use his real name. 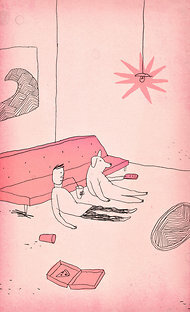 This entry was posted in Keep It Together, Wolf on August 29, 2012 by yourfriends. But don’t fear—we’re here to help! When treating a dog with separation anxiety, the goal is to resolve the underlying issue by teaching him to enjoy—or at least tolerate—being left alone. Our experts have put together a list of top tips for helping your pooch overcome separation anxiety. Doctor Knows Best: The first step in tackling behavior issues is to rule out any underlying medical problems that might be causing your pet’s behavior. For example, if your pet is urinating in the house, he might be suffering from a urinary tract infection, bladder stones, diabetes or kidney disease—all of which can cause urinary incontinence in dogs. Conquer Fear: If your pooch suffers mild separation anxiety, counter conditioning—or helping your dog associate being alone with something good, like a tasty treat—might reduce or resolve the problem. To develop this kind of association, offer your dog a food-dispensing toy every time you leave the house. Dogs Need Jobs: Providing lots of physical and mental stimulation is a vital part of treating many behavior problems, especially those involving anxiety. Exercise can enrich your dog’s life, decrease stress and provide appropriate outlets for normal behavior. Plus, a tired dog doesn’t have much excess energy to burn when he’s left alone! 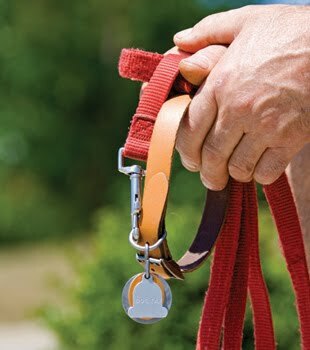 Prepare for Departure: Many dogs know when you’re about to leave the house and will get anxious or prevent your departure altogether. One way to tackle “predeparture anxiety” is to teach your dog that when you pick up your keys or put on your coat, it doesn’t always mean you’re leaving. For example, put on your boots and coat, and then just sit down and watch TV instead of leaving. Take Baby Steps: If your dog’s anxiety falls more on the severe side of things, try getting your pooch used to being alone by starting small or “desensitizing” him to the cause of his fear. Begin by introducing several short periods of separation that don’t produce anxiety, and then gradually increase time spent apart over the course of a few weeks. Keep it Mellow: All greetings—hellos and goodbyes—should be conducted in a very calm manner. When saying goodbye, just give your dog a pat on the head, say goodbye and leave. Similarly, when arriving home, say hello to your dog and then don’t pay any more attention to him until he’s calm and relaxed. Say No to Tough Love: Anxious behaviors are not the result of disobedience or spite, so please don’t scold or punish your dog if he doesn’t overcome his fear quickly. If you punish him, he may become even more upset and the problem could get worse. Be patient, and work with your pet until he feels comfortable and enjoys spending time alone. For more information about helping your pooch overcome separation anxiety, please visit ourvirtual behaviorist. This entry was posted in ASPCA, Seperation anxiety on August 22, 2012 by yourfriends. Just like us, our pets are at greater risk of heart disease as they age. And while the majority of human heart disease is cause by blockage of blood flow to the muscle of the heart itself (ischemic heart diasease), our pets tend to suffer from valvular heart disease (problems with the valves of the heart). The valve most commonly affected is the mitral valve, which seperates the left atrium and the left ventricle. 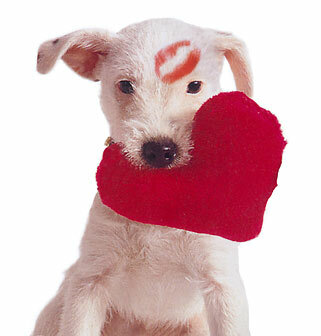 In fact, five percent of dogs aged five-to-seven have some degree of degenerative valve disease (DVD). This shoots up to 35% in older dogs (aged 12 and up). Unfortunately, some breeds, such as Cavalier King Charles Spaniels, Chihuahuas, Minature Schnauzers, Maltese and Pomeranians (among others) are more prone to DVD at an earlier age. How do you tell if your pet has DVD? Developing cardiac problems are typically found when a veterinarian hears a heart murmur during a routine exam. (This is another reason that vets recommend twice-yearly checkups for older pets.) While the grade of the murmur, overall health of the pet and x-ray results are helpful, an examination by a vet trained in cardiac ultrasonography is required for definitive diagnosis. If your pet has been diagnosed with heart disease, your vet will work out a treatment regime that suits your pet’s needs. The good news is that, due to advances in medicine, pets diagnosed with DVD now have a better quality of life, for longer than ever before. This entry was posted in degenerative valve disease, heart disease on August 15, 2012 by yourfriends. Here’s what’s happening for IADW— What are you doing? People are holding all sorts of events for International Assistance Dog Week this year. There are assistance dog graduations, demonstrations, open houses, and guided tours. Fancy a walk? You can walk on the Moors or around a State Park, do the Tail Trot or stroll at the Woofaroo. IADW founder Marcie Davis was on the KUNM Children’s Hour last Saturday, will be on Radio Disney NY this weekend and WKNU radio next week. Please let us know about media coverage for your events or what you see and hear about Assistance Dog Week near you. Go to the IADW website contact page and send us a link and description. Or share links to media on the IADW Facebook page. Renowned Santa Fe artist Krista Brooks of Retro Pets created this delightful assistance dog image. It has been applied to T-shirts and other products so you can show your support of IADW. 100% of the profits from sales of these items will benefit International Assistance Dog Week. You can shop for the T-shirts and all the items at www.cafepress.com/assistancedogweek Please share this information with all your friends on your websites and Facebook. Thanks for helping to support IADW! In Florida, proclamations for International Assistance Dog Week were presented in Vero Beach and Indian River County, and in California, Berkeley also proclaimed August 5-11 Assistance Dog Week. Since Assistance Dog Week went international last year, we’ve seen growing interest, with events in a number of countries. On Facebook we have likes from people in 20 different countries. While the US has the largest contingent, Ireland, Canada, the UK, Australia, Finland, Taiwan, Sweden and other countries show growing numbers of fans. From Perth to Vancouver, Tapei to Cork, Helenski to Boston, we’re so happy to see more and more people honoring assistance dogs. This entry was posted in Assistance Dog Week, IADW on August 9, 2012 by yourfriends. Dental medicine in cats and dogs has progresses enormously in the past 10 to 20 years. 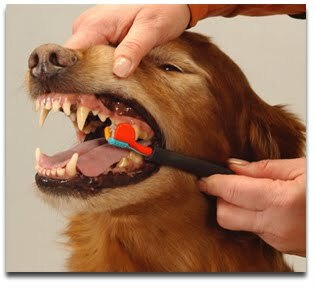 And while we’ve made fantastic advances in dental medicine, surgery and radiography, the best advice I can give new pet owners is to brush their pet’s teeth. That’s right the same basic tenet that’s served your dental health so well over the years, applies, almost equally to our pets. Getting your favorite furry pal used to regular tooth brushing at a young age will stand them in good stead for years to come. Get tips on how to start tooth brushing at www.virbacvet.com/cet/focus. This entry was posted in pet dental health on August 8, 2012 by yourfriends. Animal Attraction: Cat Food Recall . Arthur Dogswell LLC, Los Angeles, CA 90025, is voluntarily recalling 1051 cartons packed as either 10 or 50 packages per case of Catswell Brand VitaKitty Chicken Breast with Flaxseed and Vitamins because it has the potential to contain propylene glycol. High levels of propylene glycol in the treats could result in serious injury to cats. The adverse health impacts could be reducing red blood cell survival time (anemia) and making the cells more susceptible to oxidative damage. No illnesses have been reported to date. The VitaKitty treats were distributed nationwide via retail stores and mail order from April 13th through June 14th, 2012. This product is packaged in a re-sealable 2 ounce orange plastic bag with a clear window. 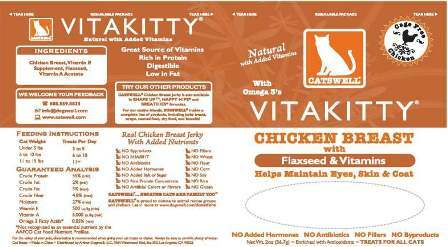 The VitaKitty Chicken Breast with Flaxseed and Vitamins lot codes affected are as follows: SEW12CH032701/03c and SEW12CH032702/03c with a best before date of 09/10/13 and 09/11/13, respectively (UPC code 8 84244 00057 2). Lot codes can be found on the bottom right backside of the package. “We are taking this voluntary action because it is in the best interests of our customers and their feline companions,” says Marco Giannini, CEO and Founder. “We will be working with the FDA in our continued commitment to ensure that we meet FDA guidelines.” The recall resulted from a routine surveillance sample collected by the Company and the Food and Drug Administration. Arthur Dogswell has ceased distribution of the affected product. Consumers who have purchased VitaKitty Chicken Breast with Flaxseed and Vitamins from the affected lot codes are urged to return it to the place of purchase for a full refund. If the affected product was purchased online, consumers should contact the internet retailer to understand their specific return and refund process. Consumers with questions may contact Arthur Dogswell at 1-888-559-8833 from 8AM to 5PM PST, Monday through Friday, or leave a message at any time. This entry was posted in cat food recall, Recall on August 2, 2012 by yourfriends. Losing a beloved pet can be difficult. There is no normal path to dealing with loss. Emotions can range from sorrow to intense grief. There are many websites that may help with coping with loss and help to find a special way to say goodbye to your pet. 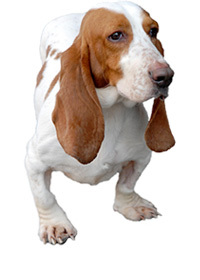 This entry was posted in Pet loss, resources on August 1, 2012 by yourfriends.